One of the big advantages the Nook has had over the Kindle is the fact that Nook users can lend books to their friends, and Kindle users can’t. That’s all about to change. Amazon announced that it will soon be bringing lending to the Kindle—so long as the publishers agree. Users can lend books for a 14-day period. You will be unable to read any books you lend for the duration of the loan. Another new feature Amazon plans to add is the ability to read periodicals via free Kindle apps, such as the iPhone app and iPad app. Android users and presumably Kindle for Mac and Kindle for PC users will have this feature some time later. Kindle users can already do this with their books, but not magazines. 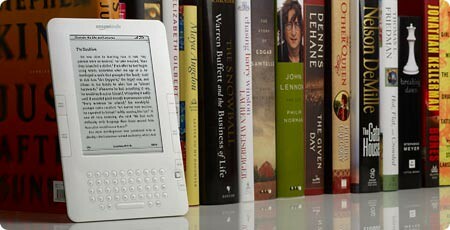 The Nook still allows users to load ePub books to the device and borrow ebooks from libraries. Presumably this new lending feature on the Kindle can be used by libraries, but I’m not certain—it sounds like it would be a feature that individual users would find more convenient and easy to use than libraries would. No word on whether ePub books or library lending are features that will come to the Kindle, but to my way of thinking, the Kindle is looking like the better deal all the time.